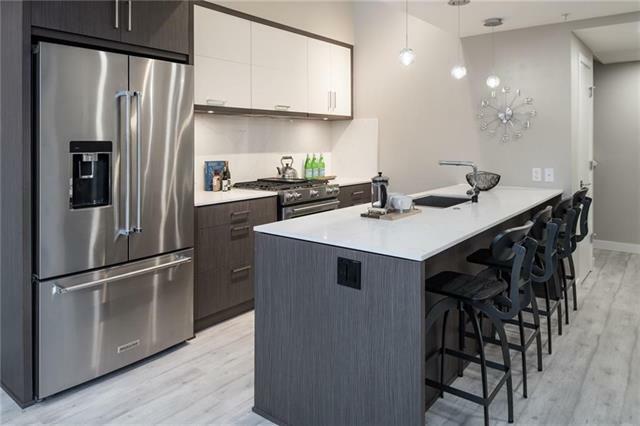 Welcome to AVENUE 33 built by Sarina Homes! 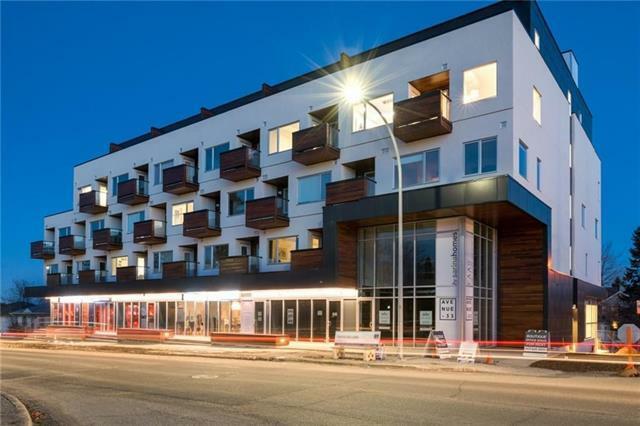 This location in the heart of Marda Loop is EXEPTIONAL! The 2 story end unit has been completelycustomized top to bottom with excellent finishings and has CITY & MOUTAIN VIEWS! 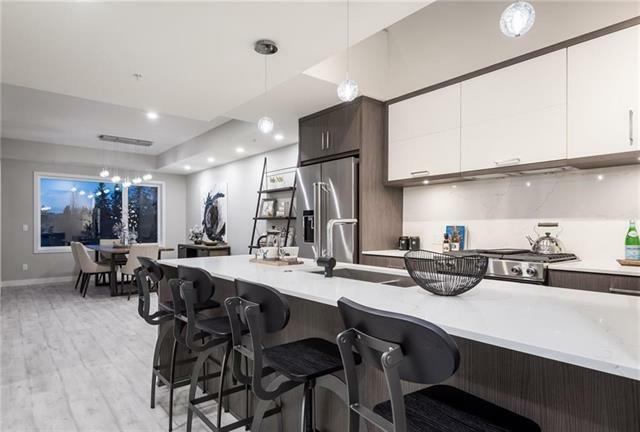 The kitchen includes sleek white quartz countertops, marblebacksplash, two-tone cabinetry, stainless steel appliances, a gas range & the only unit in the building that has its own water line connected to theupgraded refrigerator. The open concept layout gives you plenty of space for entertaining with a large dining room and living room plus readingnook with large windows that let in an abundance of natural light. On the upper level there is a spacious master bedroom with a five piece ensuite,walk in closet & in suite laundry room with stackable washer & dryer. 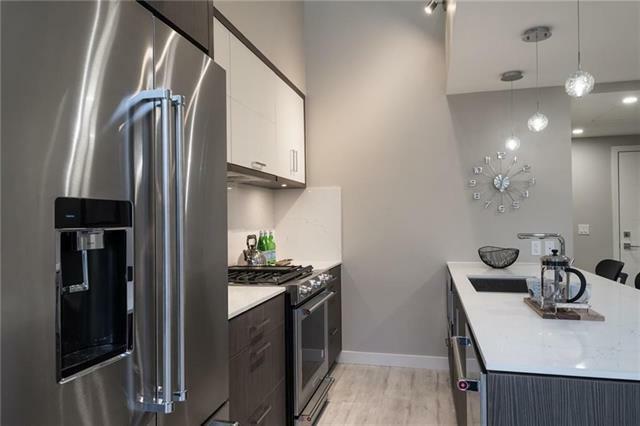 It has a spacious patio on the upper level which is equipped with a gas BBQhook up and breathtaking views of downtown Calgary. Dont miss your chance at this stunning home! Call your favourite realtor for a private tour!